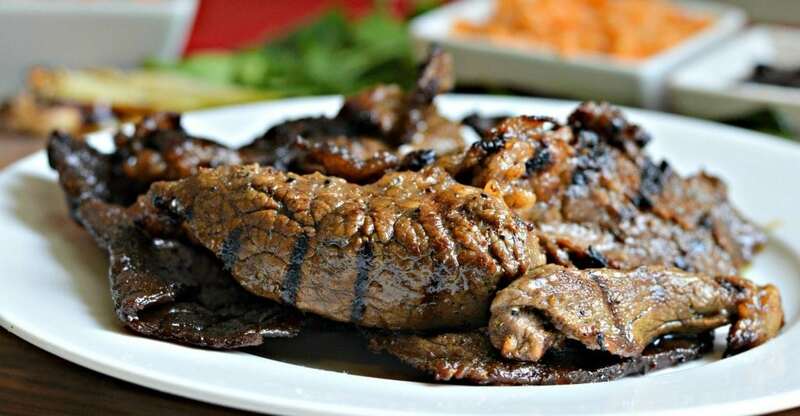 Carne asada is a very popular dish in Mexico that is served at barbecues, family reunions, and other gatherings. With all of the sun that we have been getting lately here, it is also a perfect meal to enjoy in the backyard as a family. 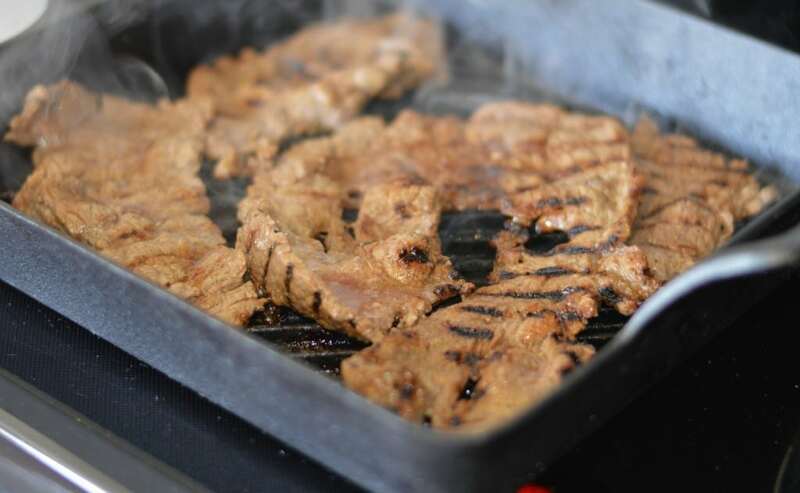 The key to making a delicious carne asada is to have a thin cut of meat (flank steak is usually a good choice). 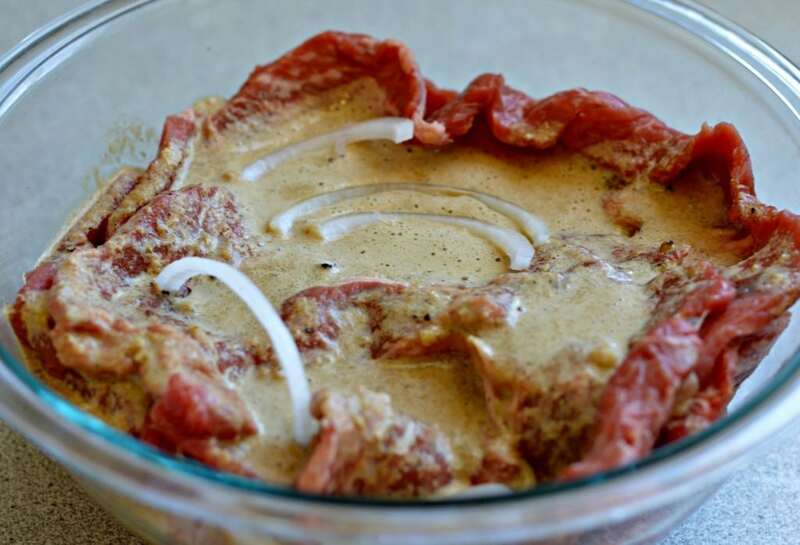 You will want to marinate for hours so that the flavor of all of the delicious seasonings penetrate the meat. To be honest, this is a pretty easy dish to make, but there are some tricks to making sure that the meat doesn’t dry out. 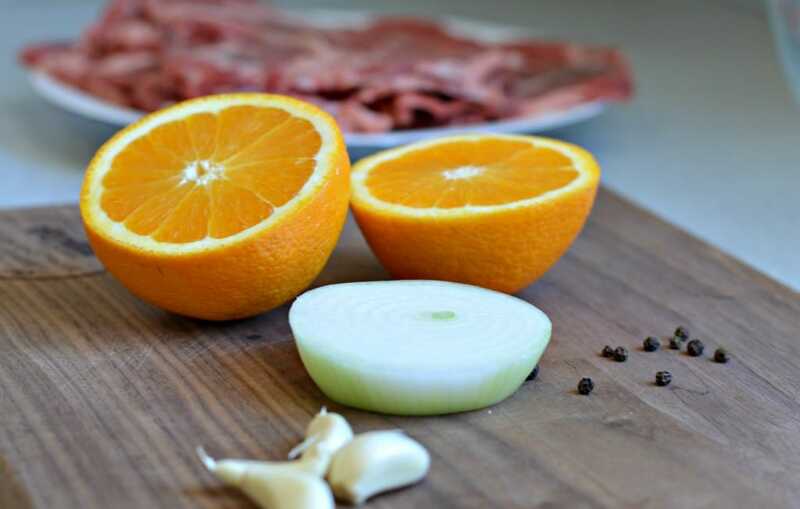 The marinade for this version of carne asada consists of freshly squeezed orange juice, garlic, onion, pepper, salt, and cumin. This is a pretty common combination for carne asada in Mexico, and is how I was taught to make it growing up. 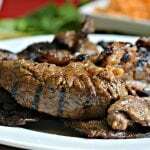 One of the best parts about making this carne asada recipe is cooking it on the grill and allowing the delicious smell permeate throughout your house! Whenever we make this, it reminds me of the parilladas that we had in Mexico with friends and family. Of course you will want to serve it with pico de gallo, grilled green onions, grilled jalapenos, and of course a delicious homemade salsa. I love using my indoor grill pan, especially when it is cold outside and I have to cook inside. Even though Spring is almost here, we actually have snow on the way for the next few days – but that can’t keep me from enjoying my favorite Mexican recipes! You can also do this on an outdoor grill. Lately I have been using my new Traeger wood pellet smoker to make everything and it gives this an even better, smokier taste. Like I said above, this recipe is perfect for family gatherings and more. I remember how I would always get together with all of my cousins and other relatives when we were younger to play games, have fun, and enjoy some delicious carne asada. Just smelling this throughout my house today brought back so many wonderful memories and I am happy to share it with all of you! Check out the recipe below and please come back and tell me how it turned out for you! Grill. This Traeger Smoker is a great choice for any of your grilling or smoking needs. 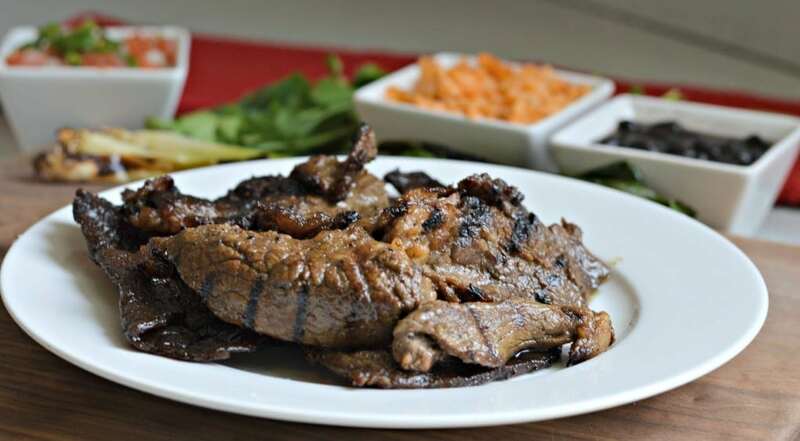 It infuses an amazing smoky flavor to this carne asada. Knife Set. Once the Carne Asada is cooked, you will want to cut it up into smaller pieces. It is important to have a good knife set like this one. Bags for Marinade. I like to have high quality, reusable bags for marinading the meat. These ones have worked well for me. If you loved this recipe, check these out as well. Grill the meat on your outdoor or indoor grill, checking and turning often so that it doesn't dry out. Serve with the tortillas, black beans, rice, and salsa. I hope to try this very soon. Meanwhile, I may gain weight just reading the recipes! I used to use “T” for tablespoon and “t” for teaspoon, so for this recipe, it would be Tablespoon for the Pepper and White Wine Vinegar. Hope that helps! Don’t think Montana is in my future at this point, but that is good to know and at least people from Montana can make it from home with my recipes. 🙂 Thanks! I live in billings mt to lol. Have you been to Taqueria Zapoltan ? I made this last night and it was a huge hit with the family. I’ll be sure to try more of your recipes!